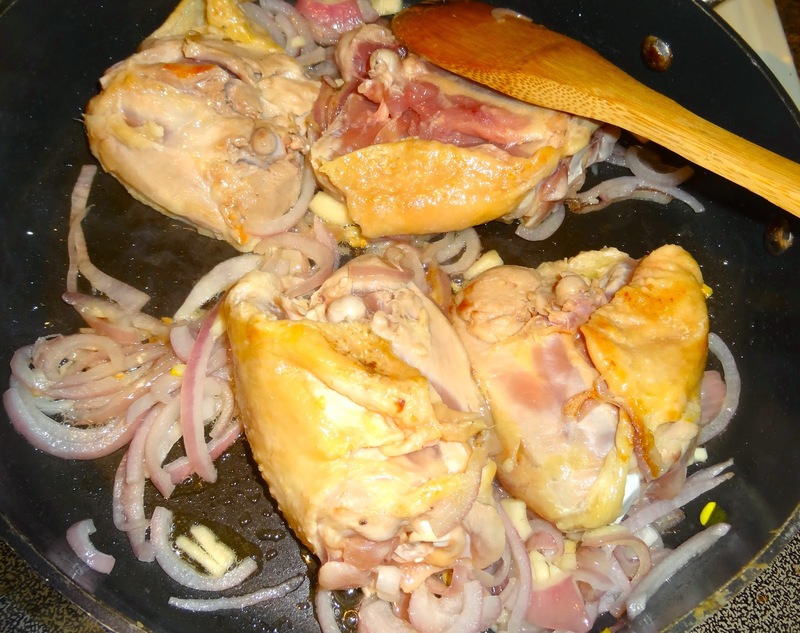 In a large saucepan cook the chicken thighs in the oil, over medium heat, for three minutes on each side. Sprinkle the chicken with the salt, pepper, coriander, and cayenne, and then add the garlic and onion to the pan. Continue cooking for three more minutes, then add the water and base (or the broth), the wine, and the lemon juice. Add the drained beans and continue cooking the mixture for fifteen to twenty minutes, or until the liquid has reduced by two thirds. Remove the pan from the heat and add the spinach. Slowly stir the leaves into the sauce as they wilt. 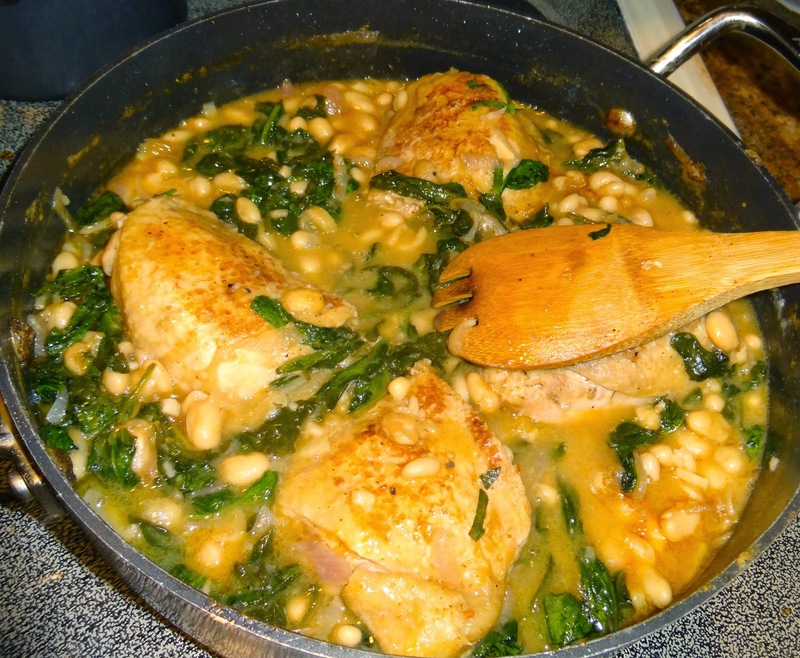 Serve the chicken and sauce over brown rice or pasta, enjoy!